Harden laced up the “Iron Man” colorway for Game 1 against Utah. 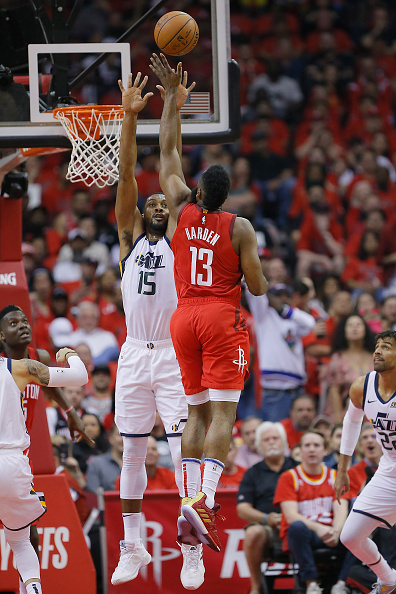 James Harden led the Houston Rockets to decisive victory in Game 1 of their series with the Utah Jazz on Sunday night, as he posted a game-high 29 points to go along with 10 assists and eight rebounds in the 122-90 blowout. The reigning NBA MVP did it all with a special edition of the Adidas Harden Vol. 3 on his feet. As a nod to Tony Stark’s suit of armor, the low-top Harden Vol. 3s come decked out in a red upper with gold “Stark Industries” branding stamped on the heel. Other details include gold Adidas branding, a chrome Iron Man logo on the tongue of the right shoe, and a Boost midsole beneath it all, as always. The kicks will be releasing on April 26, as part of .